Remember not all eggs have the same boiling times. Slow cooking is the secret. Lightly whisk 6 eggs in a bowl, and season with salt and pepper. 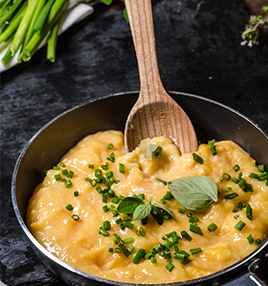 Add 2/3tbsp cream and 100g butter to a pan and mix together over a low heat. Add the eggs and let the mixture sit without stirring. After 20 seconds stir and fold the mixture over, making sure you get to the bottom and the corners of the pan. Let it sit for 10 seconds then fold and stir again. 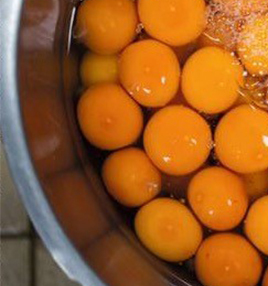 Repeat this process until the eggs are softly set and slightly runny in places. Remove from the heat and serve. 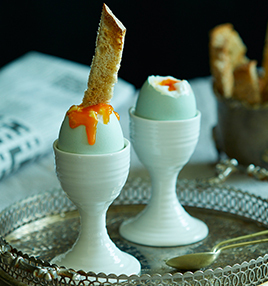 We follow Mark Hix’s steps to perfectly poached eggs every time. Fresh eggs is the secret. 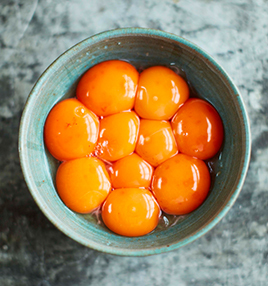 Crack the eggs into shallow cups in advance. In a shallow pan of simmering water, add a little vinegar to coagulate the egg white. Fresh eggs sink on their side when they’re placed in water. 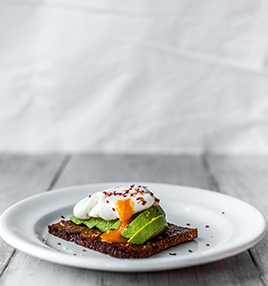 For a soft poached egg cook for 2 minutes and for a soft-to-firm one cook for 4 minutes. Serve with a pinch of salt and cracked black pepper.